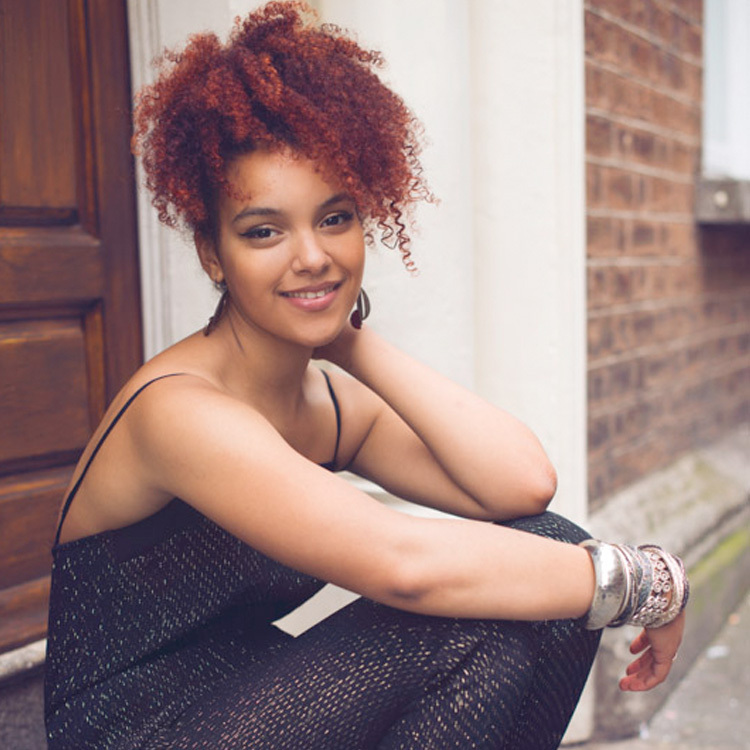 A Welsh speaker with Bajan heritage, 20 year old Kizzy Crawford's solo career began just a few years ago. In that time, Kizzy has developed an increasing sophistication to her songwriting and performance, which is complimented by her soaring voice that boasts both range and charisma. Her ambition as a black Welsh artist is to make her mark by fusing bilingual soul-folk jazz and she's already getting recognition for her work with airplay on BBC Radio 1, BBC 6Music, BBC Radio 4, BBC Radio Wales, BBC Radio Cymru as well as live TV performances on S4C, Children in Need for BBC 1 and the 6 Nations advert campaign. Kizzy won the 'Brwydr Y Bandiau' at the National Eisteddfod 2013. She also won a Welsh Singer-Songwriter competition receiving money to record her first EP 'Temporary Zone' with Amy Wadge (Ed Sheeran 'Thinking Out Loud' co-writer). In 2014, Kizzy singed to publishing company BDi / Bucks Music and Kizzy was later selected as a BBC Horizons12 Artist which included the opportunity to perform at many festivals and a live session at BBC Maida Vale. Kizzy was also a featured artist with Gwilym Simcock for a BBC Radio 4 music programme and she was invited to perform on The Verbs ‘Young Talent’ programme for BBC Radio 3. Kizzy has played many gigs including shows at the National Assembly for Wales during WOMEX, Glastonbury, London Jazz Festival, Cheltenham Jazz, Hay Festival, Festival No 6, Dinefwr Festival, the Plaid Cymru Conference, Blissfields, Wakestock, Abergavenny Food Festival (where she performed her single Golden Brown live on BBC Radio 4) and the Prince Edward Island Festival, Canada. Kizzy has played as support artist for Gruff Rhys, Newton Faulkner, Benjamin Francis Leftwich and has performed alongside Cerys Matthews at the House of Commons, Westminster. Kizzy recently performed her single 'Shout Out' Yr Alwad' with a 10 piece house band at the BAFTA CYMRU awards at St David's Hall, Cardiff and she also did a live performance of her latest single 'Jungle' and chatted with Jane Garvey on BBC Radio 4's Woman's Hour. Five of Kizzy's songs have been selected as set works as part of the WJEC 2016 A Level Music syllabus, she sits in the contemporary music section alongside Gruff Rhys, The Manics and the Super Furry Animals. Kizzy’s tracks ‘Caer O Feddyliau’ featured on an ident for S4C and her track 'Shout Out' and Welsh language version 'Yr Alwad' featured in the 2015 VISIT WALES TV & online ad campaign. Kizzy recently performed as guest artist with BBC National Orchestra of Wales at St David's Hall Cardiff and Brangwyn Hall Swansea. Other recent tours include the collaborative project BIRDSONG | CAN YR ADAR which toured throughout Wales and at London Jazz Festival - the music which was based on the Celtic Rainforest of Carngafallt, was written by Kizzy, Gwilym Simcock and Sinfonia Cymru in partnership with RSPB Cymru & Arts Council of Wales. Here's a link to a BBC Radio 4 documentary about Birdsong-Cân Yr Adar. This interview with Kizzy is part of a series of short films made by The Open University in Wales exploring contemporary Wales and its culture. To see more go to the OU’s Hafan site. Sign up with your email for news and live dates. The Starling is associated with The Welsh myth - Branwen, the Welsh Princess, who was mistreated by her Irish husband. She trained a Starling to take a message to her brother Bran in Wales to rescue her. 'Caer o Feddyliau' is a song about giving women an anthem and a voice to express all that we are and to celebrate ourselves as strong welsh women. To break free from the chains of centuries of patriarchy and misogyny. A song about the depth of an old Welsh love story - Siwan (Princess Joan of Wales) and her relationship with the Welsh Prince, Llywelyn Lord of Snowdon.